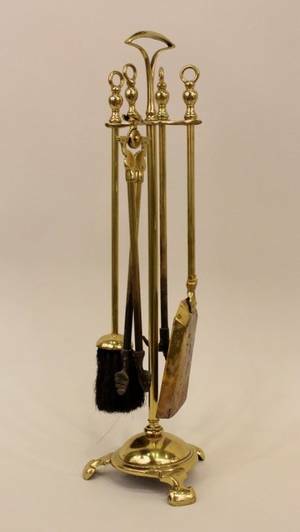 Set of brass fire tools. 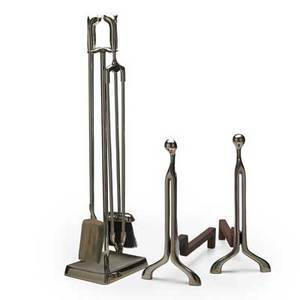 Brass Kettle Teapot on Stand Set of Three Fire Tools with Stand and a Bed Warmer. 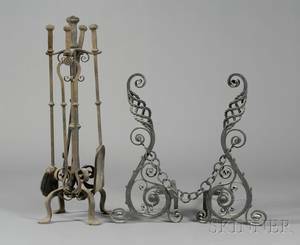 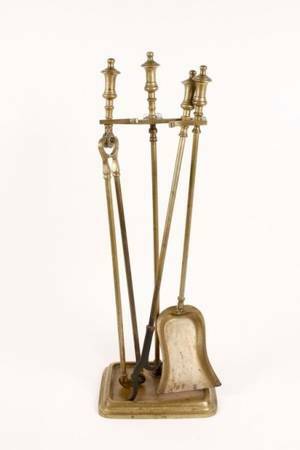 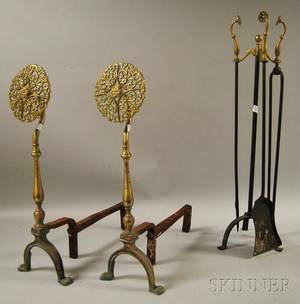 Virginia metals; pair of chromed steel andirons and set of four fire tools on stand, usa, 1970s; raised manufacturer"s initials and numbers; fire tools on stand: 33 3/4" x 9" x 7", andirons: 18" x 8"